Swedish massage is the basic technique that I use. It promotes movement of the blood and lymph throught the body using gliding, friction and kneading strokes. Swedish massage is excellent for improving circulation, boosting the immune system, and releasing tension/tightness in your muscles. It also boosts the levels of serotonin in your brain and decreases cortisol (the stress hormone), which can aid in fighting depression and anxiety. 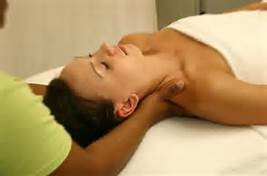 Deep Tissue Massage is similar to Swedish massage, using broader, stronger strokes to relieve severe tension within the deeper muscles and connective tissues of the body. This technique can be quite intense, but can result in relief from chronic musculoskeletal problems or injuries. Massage Cupping is essentially the oposite of typical massage therapy. Instead of exerting pressure on the different points of the body for healing, massage cupping uses suction to raise the skin, tissues and muscles upwards. Massage cupping has been known to be used over the centuries by all cultures and the oldest records of traditional Chinese medicine talk about using the therapy to cure a range of ailments. In contemporary times, massage cupping is seen as an effective, non-invasive, inexpensive, and safe form of treatment that can be used by itself or in combination with other forms of therapeutic approaches. In my practice, it an additional modality that I have available to include in a session. What are those marks? Cupping can cause skin discoloration, ranging from light red marks to the appearance of bruising. The marks are more likely to appear from stationary cupping than from gliding cupping. Therapists believe these marks result from blood being pulled to the skin's surface and the release of toxins. The marks are harmless and not painful, and they fade within a few days. Theoretically, if you receive regular cupping massage, the marks will no longer appear, or will appear less prominently, after a few massages. Reflexology involves applying pressure to the feet with specific thumb, finger, and hand techniques with minimal or no oil. It is based on the belief that the feet mirror the body and that working these points can effect these areas of the body. Craniosacral Therapy is a very subtle technique that works with the natural rhythm and flow of the body's cerebrospinal fluid to correct imbalances and boost immune function. It has also been used to relieve pain from migraines, TMJ disorders, and fibromyalgia. I do not do a session of just Craniosacral Therapy--this is inclusive in the beginning of many 60 or 90 minute sessions. Myofascial Release (indirect technique as taught by John Barnes) involves a gentle stretch, with very gentle pressure, which allows the fascia (connective tissue) to 'unwind' itself. The dysfunctional tissues are guided along the path of least resistance until free. I do not do a session of just Myofascial Release--this is inclusive in the beginning of many 60 or 90 minute sessions. Assisted stretches--assisted stretches are incorporated into many massage sessions. Helps improve flexibility and range of motion.